Thursday’s session ended slightly lower for the Russian floors, despite international optimism, as investors fear to increase the volumes of purchasing cautious that the downgrade trend has not yet reversed. The MICEX ended lower 0.54 percent at 1313.15, while the RTS closed down 0.1 percent at 1262.77. Sales of Gazprom and VTB shares could have also contributed to the downscale movement of the Russian indices. European stock markets have climbed for a third day on news of an unforeseen drop in German unemployment and strong US data released earlier. London's FTSE 100 index of leading shares rose 1.26 percent to 6,243.4 on Thursday. Frankfurt's DAX 30 added 0.63 percent to end at 7,990.75 points and in Paris the CAC 40 advanced 0.97 percent to close at 3,762.19. Madrid ended up 0.27 percent and Milan gained 0.44 percent. 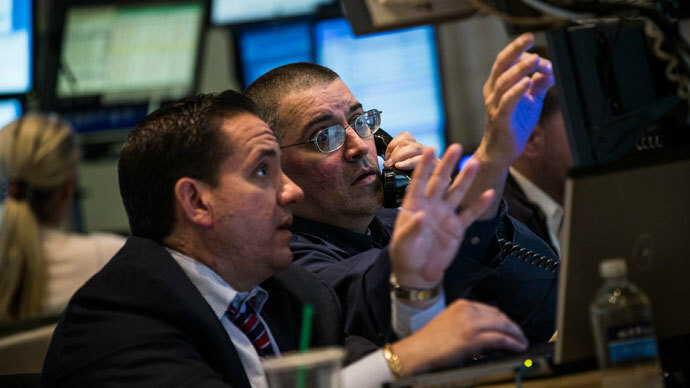 Stocks in the US rallied on Thursday closing with strong gains for a third straight day digesting positive economic data and encouraged by comments from a top Federal Reserve official that the US monetary authority would not rush to end its bond purchasing program. The Dow Jones rose 0.77 percent to 15,024.49. The S&P 500 added 0.62 percent to 1,613.20, while the tech-rich NASDAQ gained 0.76 percent to 3,401.86. Markets in Asia were mostly higher on Friday, pushed up by good economic news from Japan, and continuing to react to positive data from the United States. Japan's Nikkei 225 index surged 3.6 percent to 13,684.37 as the industrial production in the country climbed up another 2 percent in May, demonstrating a steady increase for the fourth straight month. Also the closely watched consumer price index stopped falling for the first time in seven months. Hong Kong’s Hang Seng advanced 1.2 percent, while the Shanghai Composite in Mainland China rose 0.8 percent. Elsewhere in Asia South Korea's Kospi added 1.3 percent, and Australia's S&P/ASX 200 gained 0.5 percent. On Friday investors will be eyeing the EU leaders’ second day of a two-day economic summit in Brussels. Also Germany is expected to give its preliminary data on consumer price inflation, which accounts for a majority of overall inflation. France will release data on consumer spending. Canada is to publish its monthly GDP report and the US is to release a report on manufacturing activity in Chicago and revised data from the University of Michigan on consumer sentiment. Brent oil is currently trading at $103 up 0.18 percent, while WTI is trading at $97.70 up 0.28 percent.